We’d love your help. Let us know what’s wrong with this preview of The Little Bear and the Big Bear by Monica Dumont. To ask other readers questions about The Little Bear and the Big Bear, please sign up. Great book. Perfect for 4 to 6 year olds. It teaches them how to cope with frustration. I personally thought that the teachings were really good so I gave it to my 12 year old niece who also found the techniques very useful. I loved this book. It sure shows how we can get in a negative state of mind, but it also shows what we can do not to even get there. My four year old daughter Paige is a little hothead. Her response to things is what you would expect from a two year old throwing a temper tantrum, not a four year old. But we have learned that Paige just has a bad temper and we have to work with her to deal with it in ways we can all live with. Paige happens to be my book lover so whenever I see books like The Little Bear and the Big Bear, I know they are the perfect tool to use to help Paige deal with things that she struggles with. In addition My four year old daughter Paige is a little hothead. Her response to things is what you would expect from a two year old throwing a temper tantrum, not a four year old. But we have learned that Paige just has a bad temper and we have to work with her to deal with it in ways we can all live with. In addition to having a temper, Paige is a perfectionist and the two definitely don’t mix! Whenever she can’t figure something out, she immediately throws a fit. She wants to do everything herself, do it right and do it the first time. Those are unrealistic expectations for anyone but especially a four year old. The Big Bear seems to have the same problem and that is why he is angry all the time. The little bear helps him to deal with his frustration by walking away and trying again later. At the end of the story there is a “Book Challenge” with instructions to help your child overcome something they struggle with. Step by step it offers guidance and then there are a few note pages to track the progress and results. I really appreciated this tool. I like to talk to Paige about things that relate to her when I’m done reading the book but I don’t always have the words to get through to her. This is great guidance where I don’t have to do all the thinking myself! Paige was also excited to discover a coloring page at the end of the book. Another one of her favorite things! The Little Bear and The Big Bear is a picture book meant for young children and although the story is a little bit more evolved then "Alex and the Rabbit", it is still short and simple for them to follow and acquire the insights the book has been created for. 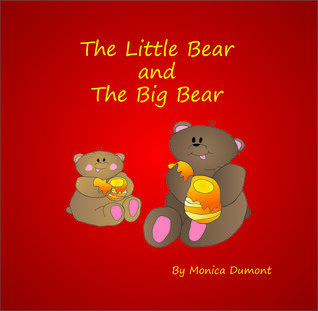 The exercise at the end of the story is meant as a fun guide to help support caregivers and The Little Bear and The Big Bear is a picture book meant for young children and although the story is a little bit more evolved then "Alex and the Rabbit", it is still short and simple for them to follow and acquire the insights the book has been created for. I like this book because I find that it has good techniques that can help children at dealing with overwhelming or stressful situations.